Lafayette Parish Man Arrested for Knowingly Violating Environmental Permit and Submitting False Reports. Today, investigators with the Louisiana Department of Environmental Quality’s Criminal Investigation Section arrested a Lafayette Parish man on two felony violations of Louisiana’s Water Control Law and two felony violations of filing false public records. The American Lung Association's State of the Air report was released today and demonstrates the improvement in air quality throughout Louisiana. 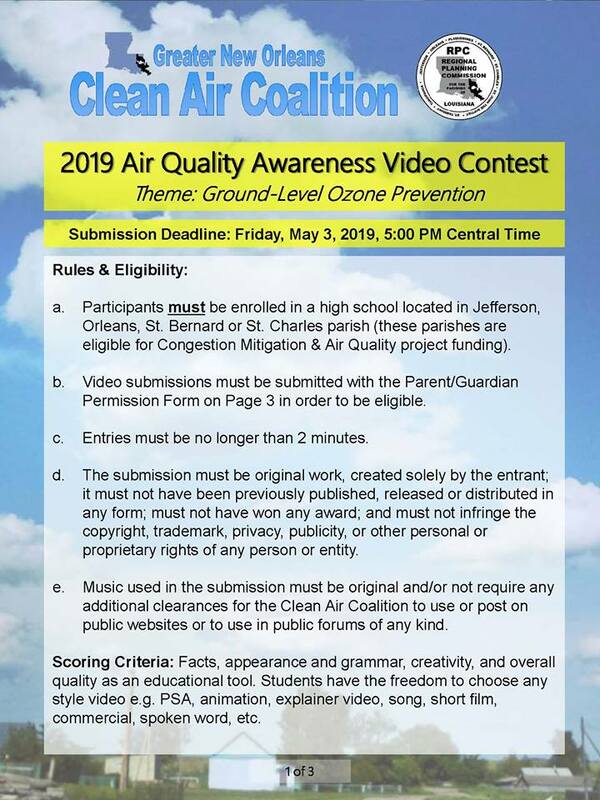 Several cities were listed as cleanest in the nation for particle pollution, known as PM 2.5, with Monroe-Bastrop listed as one of the top seven cleanest cities in the nation for PM 2.5 and ozone combined.